This artist’s impression shows two galaxies in the early universe. The brilliant explosion on the left is a gamma-ray burst. 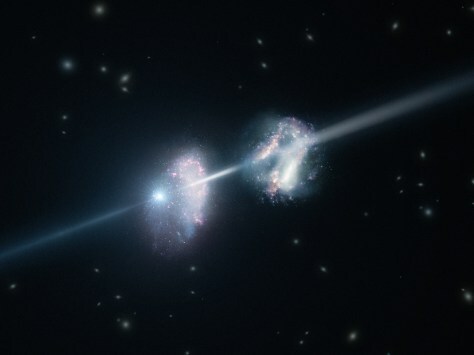 The light from the burst travels through both galaxies on its way to Earth (outside the frame to the right).